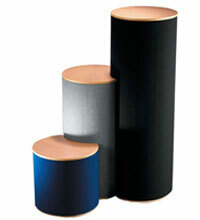 We provide a comprehensive range of stylish portable counters designed for trade shows, showrooms and retail areas. Our plinths and podiums dismantle into smaller components which are conveniently transported and stored in a supplied carry bag. 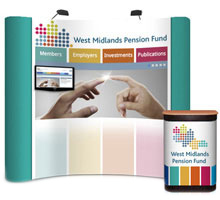 They are commonly used as stand-alone product displays or incorporated into a larger exhibition stand as a meeting point and information desk. All graphic printing for our counter range is performed in-house so please speak to our sales and graphics team if you have a question. The artwork preparation sheets can be found on the specific product pages. The leadtime for our portable counters is approximately 2-5 working days but please contact our sales team on 0116 2554640 if you have an urgent event. We often have stock options which can be delivered next day or collected from our Leicester premises. Product Displays: The portable plinths are a lightweight and portable product showcasing stand boasting a massive 70kg load bearing capacity. 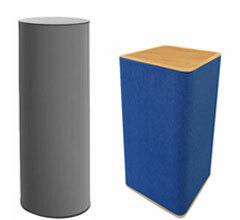 The loop nylon covered main body wrap is constructed from strong MDF tambour ribbing giving it the flexibility to form a cylinder or a cube. The thermoformed circular or square worktop is available in a range of sizes and colours. Information Stands: Our counters are a versatile option to provide a point of contact, distribute leaflets and directly promote goods and services through eye-catching digital graphics. 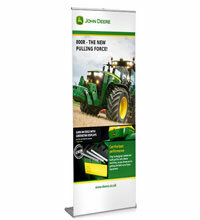 View our comprehensive range of exhibition counters. 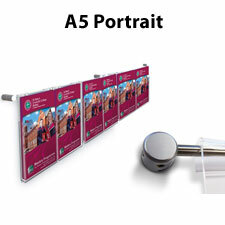 Demonstration Counters: Shout about your product and demonstrate its worth with one of our stands. The Opal and Pearl counters are supplied with worktops longer than 1m wide providing ample space for your product extravaganza. Wow the crowds and stand out from your competitors. 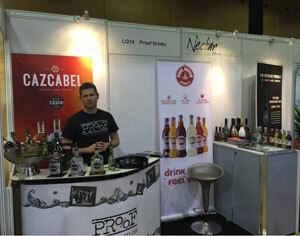 Food & Drink Sample Stands: Distribute food and drink samples with our great value counters. 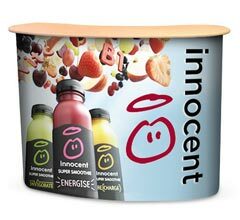 The wipe clean MDF and plastic worktops are a hygienic choice for bars, restaurants and supermarkets for short term promotions. Our entire range of lightweight counters are supplied with or have an option to purchase carrying equipment.